Living... with the Brown family, for now. Appearing on their doorstep one rainy night, Nanny McPhee arrives with her own brand of magic, literally bewitching the family and initiating their road to improvement. Her charges, the widowed Mr. Brown's seven rowdy (and quite sadistic) children, do not take well to her: “We got rid of the last 17 nannies, we're getting rid of this one too.” They soon find out, however, that Nanny McPhee is a very different sort of nanny, and getting rid of her won't be so easy. Interests... fixing the Browns. 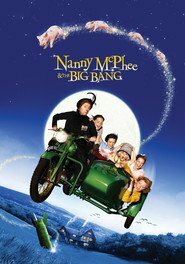 Nanny McPhee takes a keen interest in repairing the dynamic of the dysfunctional family, coming to their rescue even on her one day off. Although hired to sort the kids out, Nanny McPhee exerts her influence over the adults as well, including Mr. Brown, the servant Evangeline, Great Aunt Adelaide, and Ms. Quickly. Thus, despite her insistence against interfering in family affairs, she clearly takes great pleasure in doing just that. Relationship Status... single, probably. After all, she spends all of her time with the Browns! Challenge... dealing with seven ill-behaved children. However, one would not think this a challenge simply by looking at her. Perpetually calm and collected, Nanny McPhee approaches the children with an assuredness that clearly escaped the other 17 nannies. Then again, not everyone has a magical walking stick at their disposal. Personality... self-assured, smart, and understatedly charming. Her gray hair, facial warts, unibrow, bulbous nose, and snaggletooth belie her incredible appeal, which becomes more apparent over time. Further aided by her mysteriousness, those around her simply cannot help wanting to know – and eventually, appreciate – her. Nanny McPhee's popularity ranking on CharacTour is #1848 out of 5,000+ characters. See our top-ranked characters and read their profiles. Widower Cedric Brown (Colin Firth) hires Nanny McPhee (Emma Thompson) to care for his seven rambunctious children, who have chased away all previous nannies. 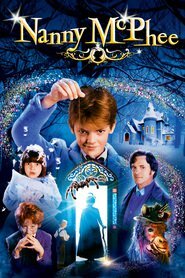 Taunted by Simon (Thomas Sangster) and his siblings, Nanny McPhee uses mystical powers to instill discipline. And when the children's great-aunt and benefactor, Lady Adelaide Stitch (Angela Lansbury), threatens to separate the kids, the family pulls together under the guidance of Nanny McPhee.